On October 16, 2007 U.S.-Ukraine Business Council President Morgan Williams moderated a panel, "Has Ukraine Met the Economic and Social Requirements for EU Membership?" 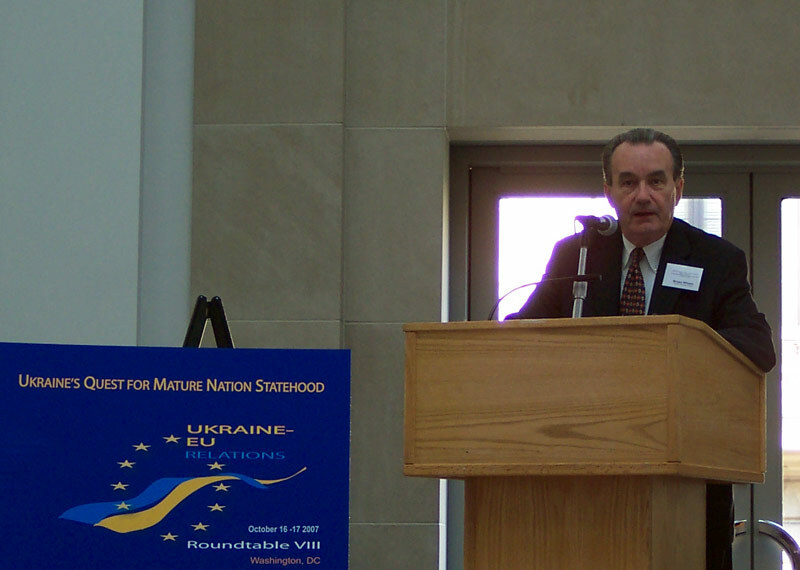 The discussion was a part of a 2-day conference "Ukraine's Quest for Mature Nation Statehood, Ukraine-EU Relations," held on October 16-17, 2007 in Washington, DC. Mr. Williams's panel focused on current economic situation in Ukraine and challenges for its integration into international economic organizations. Participants included Anders Åslund (Peterson Institute for International Economics), Oleksandr Biletsky (European Movement/UA), and Krzysztof Bobinski ( EU-Polska). The panelists argued that real GDP in Ukraine between January and July 2007 grew by 7.7% on an annual basis. This impressive performance was achieved due to double-digit growth rates in manufacturing, wholesale and retail trade, as well as construction. The participants also indicated that recent turbulence on world financial markets is unlikely to have adverse consequences for Ukraine's positive macroeconomic fundamentals. In an answer to one of the questions, Åslund positively assessed the role of Russian investment in Ukraine, especially in country's eastern regions. Also at the conference, Thomas A. Dine, a senior director at the U.S.-Ukraine Foundation, hosted a panel " The "Equitable Playing Fields," which focused on Ukrainian social issues. 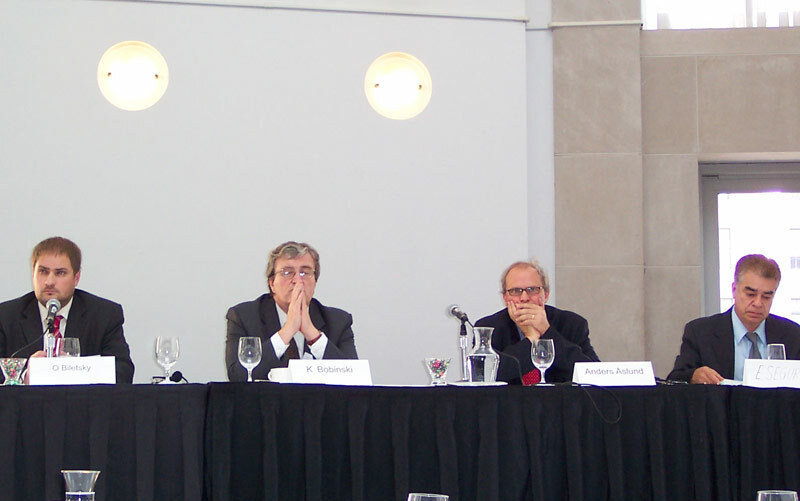 The panelists, including Keith Crane (RAND), Volodymyr Kosteryn ( Green Party/UA), Robert Fielding ( AFL-CIO/UA), and Lewis Madanick (U.S. Library of Congress) discussed the importance of access to decent health care and housing in Ukraine. The Chairman of the Green Party of Ukraine, Mr. Kosteryn argued that environmental protection has become a key issue in the Ukrainian government and in the society at large due to the efforts of his party. Participants also discussed the necessity of transparency in privatization, and the need to take further measures to fight corruption.